The Department of Administrative Services (DAS) was created by the Forty-fourth Legislature in March 1981 with passage of the Administrative Services Act. This action was a result of an organizational study of state administrative services by the Governor's Committee on Executive Reorganization (Agency #357). The mission of the department is to eliminate duplication, ensure fiscal integrity, enhance technological opportunity, and save money throughout state government by coordinating support services and administrative functions. The department supervises those agencies that provide such centralized services as accounting, archiving and managing of records, data processing, facilities management (which includes construction and remodeling projects authorized by the legislature), mailing, motor pool, printing, purchasing, and telecommunications to other state agencies. An executive director appointed by the Governor and approved by the Senate oversees the department. A User Advisory Committee composed of agency representatives advises the executive director. Each division is under the immediate direction and control of a division director. The department was organized by consolidating the Department of Finance (Agency #390), the Department of Systems Planning and Computing, the Office of Personnel Management (#789), and the Building Board (#75). When the department began operation on 1 July 1981 it consisted of seven divisions-- Finance (#388), Central Services (#241), Data Processing (#305), Facilities Construction and Management (#375), Archives and Records Services (#11), Purchasing (#753), and Personnel Management (#789). The State Building Board and the State Building Ownership Authority were also placed within the DAS umbrella for administrative support and staff services. The newly organized department also assumed direct administrative responsibility for three agencies that had previously been administered by the former Department of Finance--the State Insurance Fund (#899), the State Agency for Surplus Property (#1107), and the Risk Manager (#846), who manages the State Risk Management Fund. The State Insurance Fund was renamed the Workers' Compensation Fund in 1986 and became the Department of Workers' Compensation Fund (#1278) in 1988. The State Agency for Surplus Property became the Division of Surplus Property in 1984. The Risk Manager and the Risk Management Fund are commonly referred to as the "Office" of Risk Management and have occasionally been called the "Division" of Risk Management. The Office of Administrative Rules (#29), which was added to the Division of Archives in September 1984, became a subagency of the department in 1985 and was elevated to division status in 1987. Telephone Services, formerly part of Central Services, became the Division of Telecommunications (#1153) in 1986. The Crime Victims' Reparations Office (#1601) was created in 1986 and was transferred to the Governor's Commission on Criminal and Juvenile Justice (#202) on July 1, 1989. The Division of Personnel Management was separated from the department in 1988, becoming the Department of Human Resource Management (#789). The Division of Fuel Dispensing Services was created in 1991. Audit Report, 1962-63 (Surplus Property). Audit Report, 1966-67 (Surplus Property). Audit Report, 1968-71 (Surplus Property). Audit Report, 1975 (Surplus Property). Audit Report, 1979 (Surplus Property). Audit Report, 1979-80 (Surplus Property). Annual Report, 1961 (Surplus Property). Annual Report, FY 1961-62 (Surplus Property). Annual Report, July 1, 1981 to June 30, 1982 (DAS). Annual Report, July 1, 1982 to June 30, 1983 (DAS). Annual Report, July 1, 1982 to June 30, 1983 (Office of Risk Management). Annual Report, 1983-84 Fiscal Year (Office of Risk Management). Appropriations Report, 1987-88 (Salt Lake City: Office of the Legislative Fiscal Analyst, 1987). Appropriations Report, 1988-89 (Salt Lake City: Office of the Legislative Fiscal Analyst, 1988). Biennial Report, 1952 to 1954 (Dept. of Health). Biennial Report, 1954 to 1956 (Dept. of Health). Biennial Report, 1956 to 1958 (Dept. of Health). Deseret News, May 23, 1981; June 27, 1981; June 29-30, 1981; July 6, 1981; and Dec. 13, 1982 (DAS). Deseret News, Dec. 22, 1986 (Victim Reparations created). Draper, Robert L., conversations and memos, August 1989. Gardner, Barclay, telephone conversation, 21 August 1989. Laws of Utah, 1953, Chapter 40 (Agency for Surplus Property created). Laws of Utah, 1963, Chapter 153 (Surplus Property moved to Finance). Laws of Utah, 1973, Chapter 160 (State Properties Insurance Reserve Fund, Finance). Laws of Utah, 1979, Chapter 219 (Risk Manager, Public Liability Fund). Laws of Utah, 1981, Chapter 250 (Risk Management Fund created). Laws of Utah, 1981, Chapter 257 (DAS created; Senate Bill 191, passed 10 March 1981). Laws of Utah, 1984, Chapter 65 (Division of Surplus Property). Laws of Utah, 1986, Chapter 102 (Division of Telecommunications created). Laws of Utah, 1986, Chapter 113 (Division of Personnel amendments). Laws of Utah, 1986, Chapter 150, \'a72 (Reparations Office created). Laws of Utah, 1986, Chapter 183 (State Building Board created). Laws of Utah, 1986, Chapter 204 (State Insurance Fund renamed). Laws of Utah, 1988, Chapter 122 (Dept. of Human Resource Management created). Laws of Utah, 1989, Chapter 46, \'a75 (Reparations Office transfer). Lieutenant Governor's Office, secretary, 21 August 1989. Laws of Utah, 1991, Chapter 93 (Fuel Dispensing Services created). Organizational Report (Workers' Compensation Fund, Sept. 1987). Service Plans for FY 1982-83 (DAS). State and Local Government in Utah (Salt Lake City: Utah Foundation, 1954). State and Local Government in Utah (Salt Lake City: Utah Foundation, 1962). State and Local Government in Utah (Salt Lake City: Utah Foundation, 1973). State and Local Government in Utah (Salt Lake City: Utah Foundation, 1979). Utah Code, 35-3-1 to 18 (State Insurance Fund). Utah Code, 63-1-46 to 48 (Risk Management). Utah Code, 63-9a-1 through 23 (State Building Ownership). 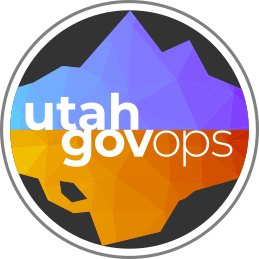 Utah Code, 63-17-1 through 8 (Surplus Property). Utah Code, 63-63-1 (Crime Victims' Reparations Office). Utah Official Roster, 1983-84 (DAS/USARS). Utah Official Roster, 1985-86 (DAS/USARS). Page Last Updated July 28, 2011.